Get Marvel's Agents of S.H.I.E.L.D. 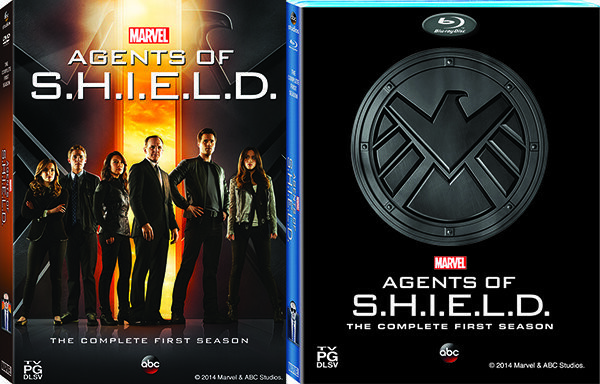 Season 1 on DVD and Blu-Ray | Marvel's Agents of S.H.I.E.L.D. Can't get enough of Coulsen's quips? Want to relive the moment you began to hate that snake of a traitor Ward? Still not sure who to trust after Hydra's dismantling of S.H.I.E.L.D? Now, you can relive it all. Own every thrilling episode of Marvel's Agents of S.H.I.E.L.D. Season 1 on Blu-Ray and DVD, plus amazing bonus features that take you deeper into the world of the show and the Marvel Cinematic Universe. SEASON 2 CATCH-UP: Watch full episodes now for free! Watch new episodes TUESDAYS 9|8c!